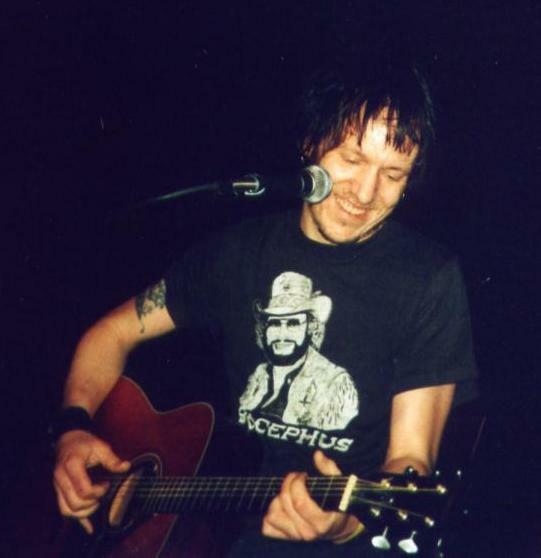 Steven Paul "Elliott" Smith (August 6, 1969 – October 21, 2003) was an American singer, songwriter, and musician. Smith was born in Omaha, Nebraska, raised primarily in Texas, and lived for much of his life in Portland, Oregon, where he first gained popularity. Smith’s primary instrument was the guitar, though he was also proficient with piano, clarinet, bass guitar, drums, and harmonica. Smith had a distinctive vocal style, characterized by his "whispery, spiderweb-thin delivery", and used multi-tracking to create vocal layers, textures, and harmonies. After playing in the rock band Heatmiser for several years, Smith began his solo career in 1994, with releases on the independent record labels Cavity Search and Kill Rock Stars (KRS). In 1997, he signed a contract with DreamWorks Records, for which he recorded two albums. Smith rose to mainstream prominence when his song "Miss Misery"—included in the soundtrack for the film Good Will Hunting (1997)—was nominated for an Oscar in the Best Original Song category in 1998. Smith had trouble with alcohol and other drugs throughout his life, while suffering from depression, and these topics often appear in his lyrics. In 2003, aged 34, he died in Los Angeles, California, from two stab wounds to the chest. The autopsy evidence was inconclusive as to whether the wounds were self-inflicted. At the time of his death, Smith was working on his sixth studio album, From a Basement on the Hill, which was posthumously completed and released in 2004.